Brent Burns is an elite offensive defenseman, arguably one of the best in the entire NHL. He’s the 2016-17 Norris Trophy winner, he’s a six-time All Star, and he’s tallied at least 60 points five different seasons in the NHL. He’s also the point leader for the Sharks heading into the playoffs, the only defenseman with such distinction. All of these accolades (and the beard) tend to leave the hockey world enamored with the 6’5″ 230-pound goliath of a defenseman. 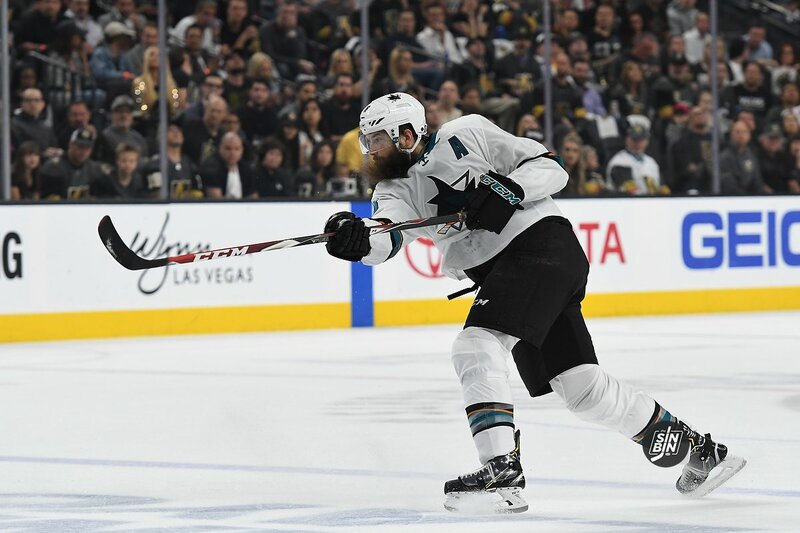 However, when you actually watch Brent Burns play, it’s not all rosy, and when you watch him play against the Golden Knights, it’s nothing short of dreadful. There’s only one way to illustrate what I’m talking about because most of the issues come when Burns is away from the puck and that’s through video. When he has the puck, in any of the three zones, he’s usually good with it. He has a strong stick, he normally makes good decisions with the puck, and he’s an elite skater for his size when he’s skating forward. 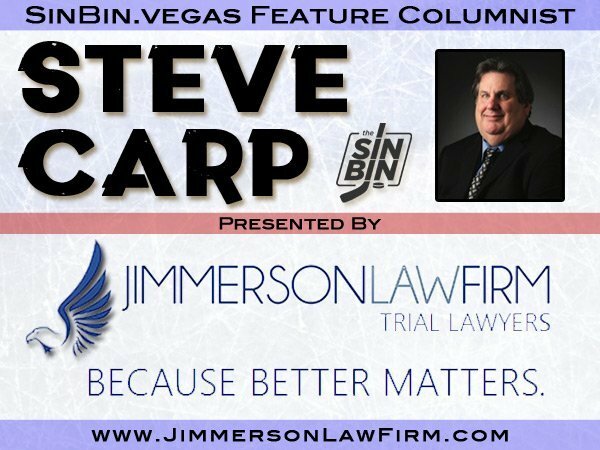 But, when you watch what he does away from the puck, or what happens when he has to retreat into his own zone, or his positioning when the puck is turned over, you’ll start to see why he’s a liability against a team like Vegas. Let’s start with a few videos, the tamer ones first. In all three cases, the Golden Knights fired stretch passes directly aimed at Burns. Each time the Golden Knights ended up on the puck and they created a chance out of each of them. None of these resulted in goals, but that doesn’t mean they didn’t affect the game. Because Burns is so offensively focused, he’s often caught too far up in the neutral zone and Vegas seems to seek it out. This is a key to how the Golden Knights like to play, and Burns plays right into it. Vegas is at its best when they are playing quickly and when they transition through the neutral zone with one pass. In all three plays shown, Burns aids that process. 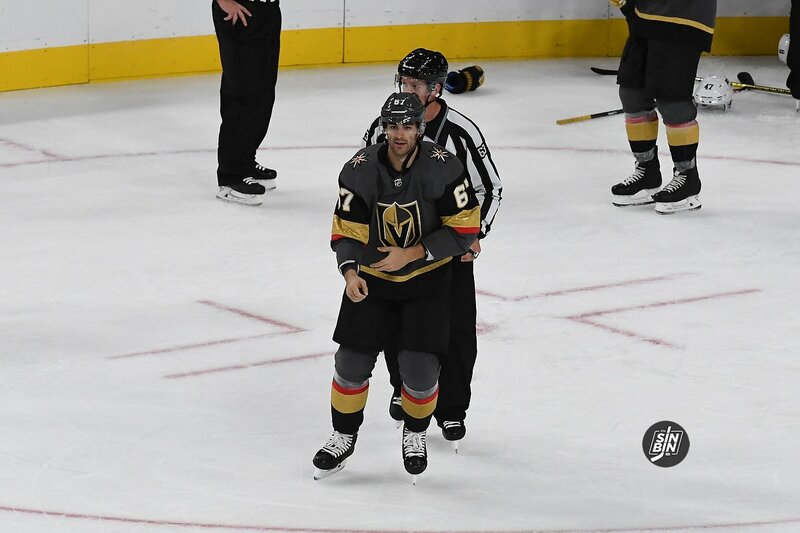 Now let’s move on to another major issue Burns has when he plays against Vegas, getting caught on the wrong side of the puck. As a defenseman, it’s crucial that when a puck is turned over that you are closer to your goal than the puck is. Otherwise, it leads to odd-man rushes and/or forwards getting caught playing as defensemen. 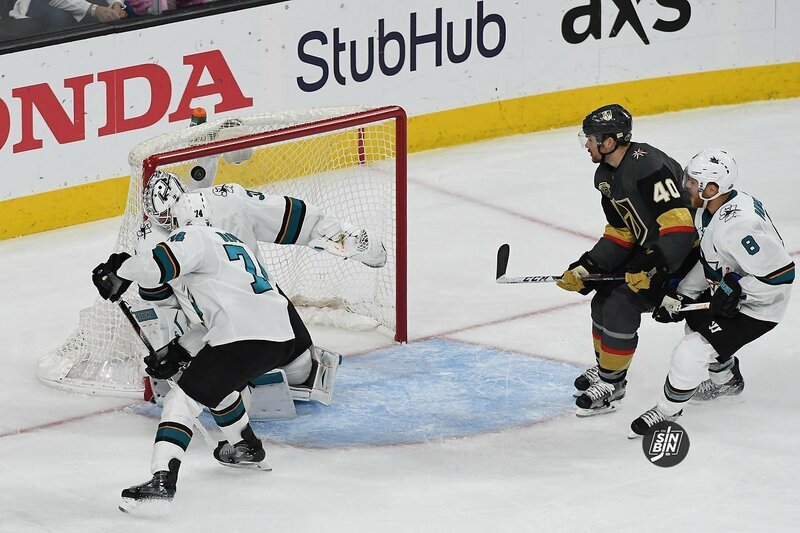 Here are two such instances, both from the same game, both that lead to Golden Knights goals. From 2012-2014, the Montreal Canadiens and Boston Bruins played eight times in the regular season. Max Pacioretty’s Canadiens went 6-2-0 as Montreal clearly had the edge on Boston for two seasons and it carried over into the postseason. In 2014 the Habs met the Bruins in the second round of the playoffs and continued their control over Boston winning the series in seven. That’s one example of Pacioretty being on team that had gotten the better of their playoff opponent, like his current team’s success over the San Jose Sharks. Pacioretty has played in seven playoff series over his 11-year career. It’s not as many as he’d like but the veteran has seen enough to understand the intensity on the second season. The 30-year-old scoring winger averages 0.5 points per game and 4.5 shots per game in the postseason. Vegas will need him to do more than that over the next month or two. There’s no doubt that come next week Pacioretty and his teammates will bring the intensity they’ve been lacking for the past couple of weeks. It was a simple transaction announcement Tuesday afternoon — Maxime Lagace was being returned to the AHL Chicago Wolves. But the news behind the news was huge. 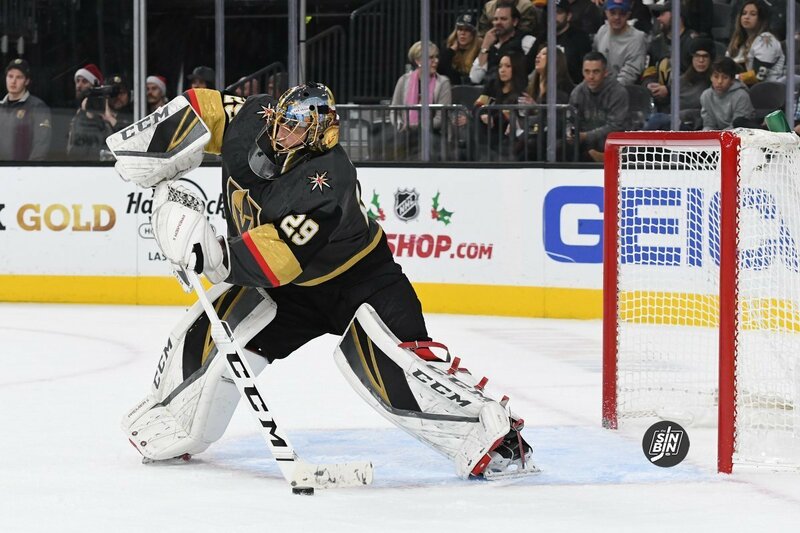 It meant Marc-Andre Fleury was returning to active duty for the Golden Knights. And the timing couldn’t have been better. We last saw Fleury in goal back on March 15 in a 2-1 win over the Dallas Stars in Texas. Since then, he had been given time off, reportedly having sustained a lower-body injury. His wife Veronique was also giving birth to the family’s third child, this time, a boy. And it didn’t hurt for Fleury to reboot things mentally as well as heal up physically. No doubt the time off had to have done him a lot of good. And the reality was the Golden Knights weren’t catching Calgary and winning the Pacific Division. So the decision to shut Fleury down was a wise one. He has had a wonderful season, arguably one of his best of his NHL career. In 59 games, he has a 35-19-5 record, eight shutouts, a 2.46 goals-against average and a .914 save percentage. He probably won’t win the Vezina Trophy, which goes to the NHL’s top goalie, but he had played himself into the conversation over the first half of the year. Don’t forget, he’s no kid anymore. The guy is 34 years old, but given the high standard of his play, Fleury remains the most critical piece of the Knights’ puzzle going forward into the postseason next week. He will be expected to put the team on his back and take them as far as he can. That was the case last year as Fleury was brilliant through the first three rounds of the playoffs and he played well in the Stanley Cup Final too. He’ll get some playoff preseason work in Thursday against Arizona in the regular-season home finale at T-Mobile Arena and he’ll probably be in net Saturday in the last game of the year in Los Angeles against the Kings. 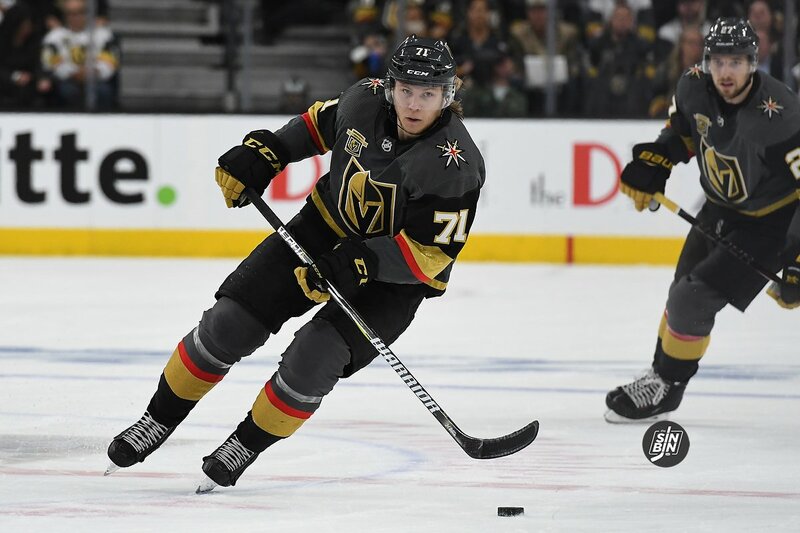 It’ll give him a chance to get his timing back, to reconnect with his defensemen, to help give the Knights some momentum going into the opening round of the playoffs against San Jose and to be back where he is happiest — on the ice. I don’t know too many players who simply love playing hockey the way Fleury does. It’s almost child-like in his affection for the game. You watch 7-, 8- and 9-year-olds scamper all over the ice and having fun. That’s Fleury, even at age 34. That kind of love becomes infectious inside the locker room. The players see their goalie having fun and it energizes them. They all tap into the little boy inside each of them. Yes, this is their job. Yes, they’re paid to win. Yes, there’s tremendous pressure and high expectations on all of them, Fleury included. But when you strip all of that away, it reverts back to why you laced up your skates and grabbed a stick in the first place. There’s something special about riding to the rink, getting on the ice and skating and shooting, or, in Fleury’s case, stopping the puck. Hockey should be fun, even at the NHL level. To Fleury’s credit, he never forgot that. A word or two about Malcolm Subban if I may. X marked the spot Friday as the Golden Knights secured their spot in next month’s Stanley Cup Playoffs. Give a stick tap to the Colorado Avalanche which beat Arizona to allow the Knights to clinch. Now comes the awkward part that will put Gerard Gallant squarely in the crosshairs. How does he handle the final three games of the season? If last year is an indication, expect a lot of different lineups. You may recall Brandon Pirri was called up late in the year and he delivered with goals against Vancouver and Edmonton. Then Reilly Smith returned to the lineup against Calgary and we never saw Pirri again. We’ve seen Gallant do that already with Valentin Zykov. 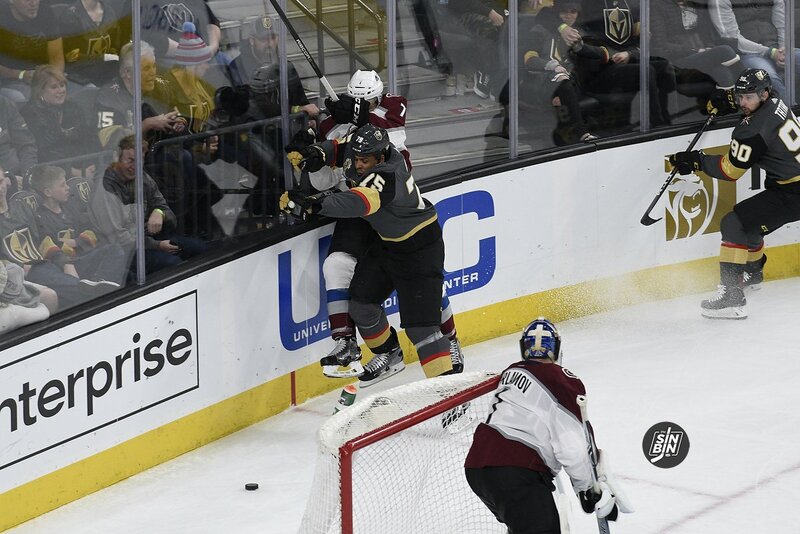 He gave Zykov a couple of games to get the rust off and he could find himself on the ice, especially considering Paul Stastny, Mark Stone and Pierre-Edouard Bellemare are nicked up and Gallant may opt to put them on the shelf for a day or two. It is a tricky dance for a coach. On one hand, you want to get your team as physically close to 100 percent as possible. On the other, you want to build some positive momentum going into the playoffs. But is momentum overrated? 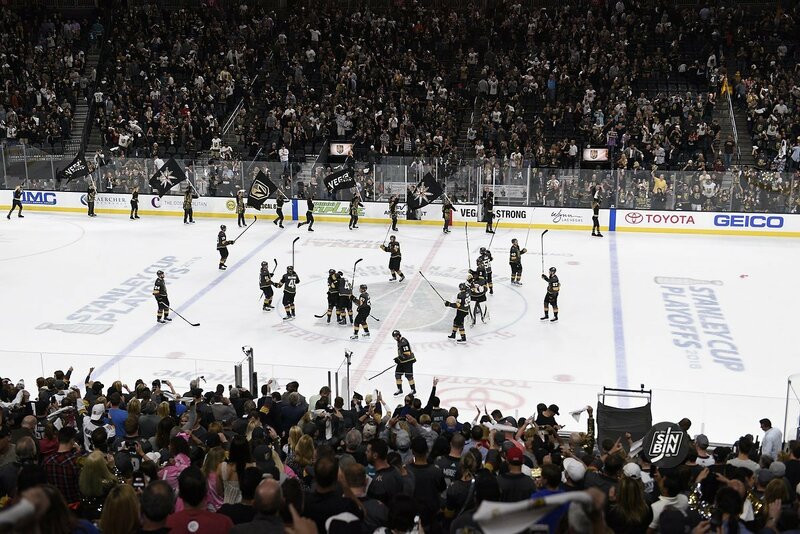 Consider the Knights opened the 2018 playoffs against the Kings on the heels of back-to-back losses, 4-3 to the Oilers and the 7-1 debacle vs. the Flames. They went on to sweep L.A. and advance to the conference semifinals against San Jose. Gallant may have tipped his hand after Friday’s game on how he will handle the final week. The players don’t figure to go through the motions. Remember, there’s still ice time to earn in the playoffs and there’s a glut of forwards and not everyone can play. Someone’s going to sit. One thing that needs to change regardless of who is in the lineup is the recent trend of starting games slowly. The Knights let Minnesota get the jump on them Friday and it resulted in chasing the game all evening. And while the final push late nearly got the game tied, the fact is it was a loss to a team that played with more energy and far more desperation. It was almost a carbon copy of Wednesday’s performance against Colorado. First there were concerns Marc-Andre Fleury was playing too much, now some are worried he’s been resting for too long. As we patiently wait for Fleury to make his return between the pipes, the question of how he will look when he gets back in there must be asked. The 34-year-old goaltender has been in net eight times over the last 15, and none of the last six. 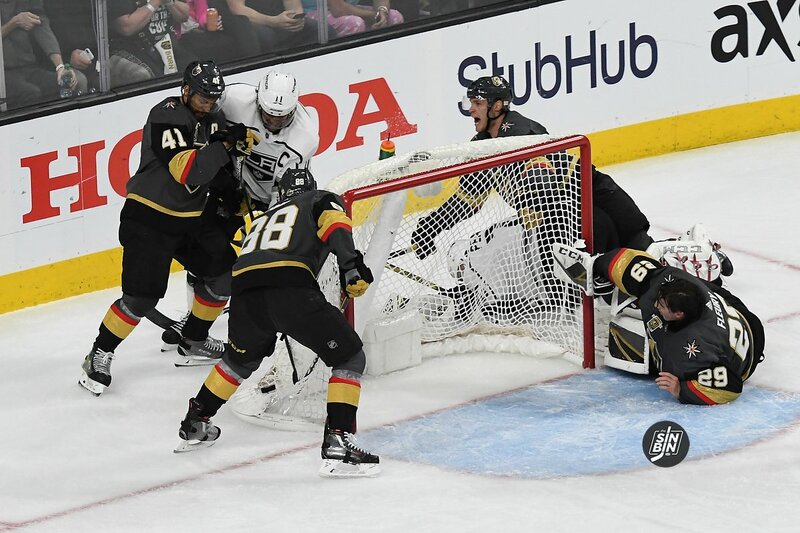 Last season, Fleury played 16 out of Vegas’ last 20 and was unbelievable in the Golden Knights goal throughout the playoffs. Over the past four seasons, Fleury has had various percentages of starts down the stretch and all show signs of consistency in the playoffs. In 2016-17, Fleury played eight of the last 20 games splitting time with Matt Murray. That Penguins team, of course, went on to win the Cup. Fleury started the first 15 games winning two series (CBJ-5 games, WAS- 7 games) but was relieved of his duties after Game 3 of the Eastern Conference Finals. Pittsburgh went on to win seven of the next 11 games with Murray in net. The light schedule for Fleury didn’t impact his performance for 15 postseason games. He had a .924 save percentage and allowed 2.56 goals per game before getting the hook. Penguins coach Mike Sullivan was very confident in both goaltenders. The season prior, Fleury started 12 out of the Penguins last 20 games. He ended the season with 58 games played but his time would come to an end quickly in the postseason. Fleury dropped the first two games of a first round series and was replaced with Murray for the remainder of their Stanley Cup run. Fleury posted a dismal .875 save percentage in those two games. In 2014-15, Fleury played 16 of the last 20 regular season games. The Penguins lost went on to lose to the New York Rangers in the first round. Fleury was terrific though. He limited the Rangers to just 2.12 goals per game and put up a .927 save percentage.